Palli/Peanuts Pachi Pulusu | The Flavor Nook! 1. In a pan, dry roast the peanuts for a few minutes until they are golden brown. Let the peanuts cool down and then, peel off the skin and keep it aside. 2. In the same pan, take nuvvulu/sesame seeds and dry roast just for a minute. 3. In a mixie/blender, take the roasted peanuts (without the skins) and sesame seeds. Add a few tsps of water and blend them into a nice but coarse mixture. Add about a cup of water and blend well, so that the peanut & sesame mixture is finely ground into a watery paste but is still thick. 4. Now, add the tamarind juice, turmeric, red chilli powder, salt and further blend for a minute. 5. Take this pulusu in a bowl; add some chopped coriander and set aside. 6. Now, for the popu/talimpu/tadka, heat about 2 tsps of oil. Add, cumin seeds, mustard seeds, curry leaves and roast/fry for about a minute or two; add this to the pulusu. 7. 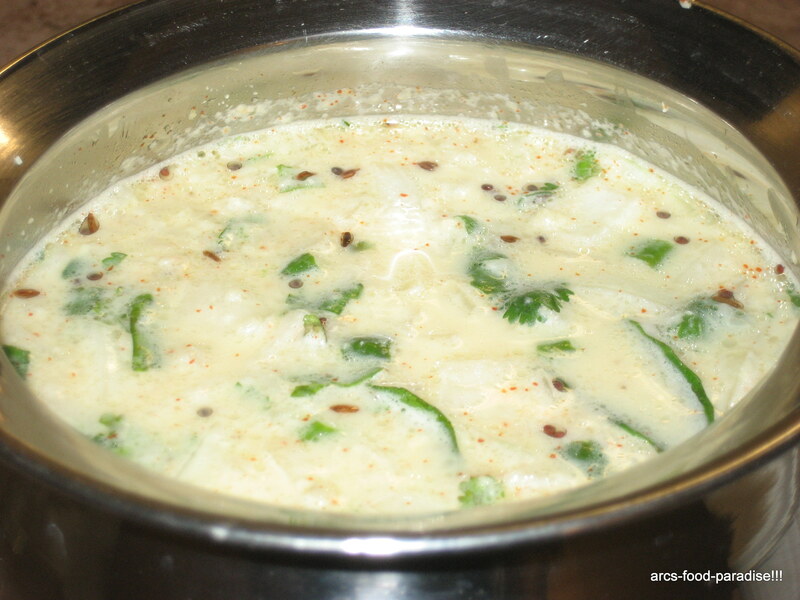 Finally, add some chopped onions and green chillies and we have the palli pachi pulusu ready! This goes especially well with pulav/bagara rice.